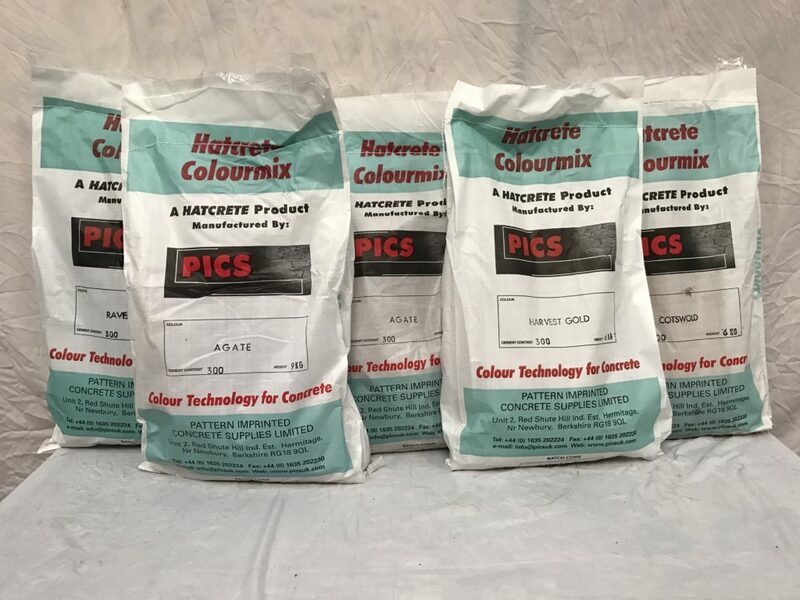 Allcrete Colour For Concrete Hardener is applied by hand and trowelled into the surface of freshly poured concrete, colouring and hardening the surface of the concrete. 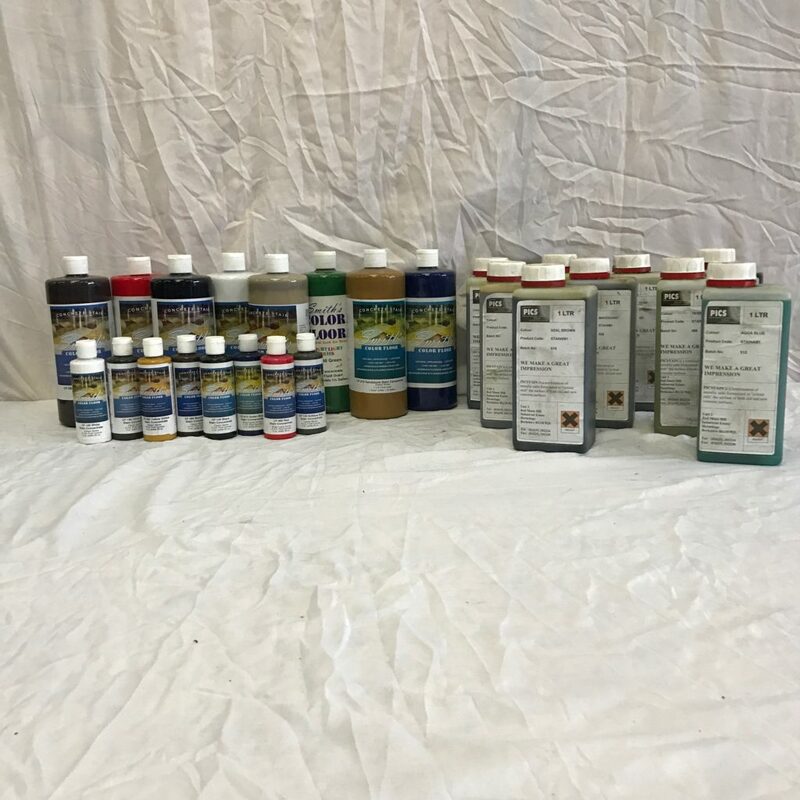 Colour Surface Hardener is available in 25kgs bags in a range of 24 different colours. 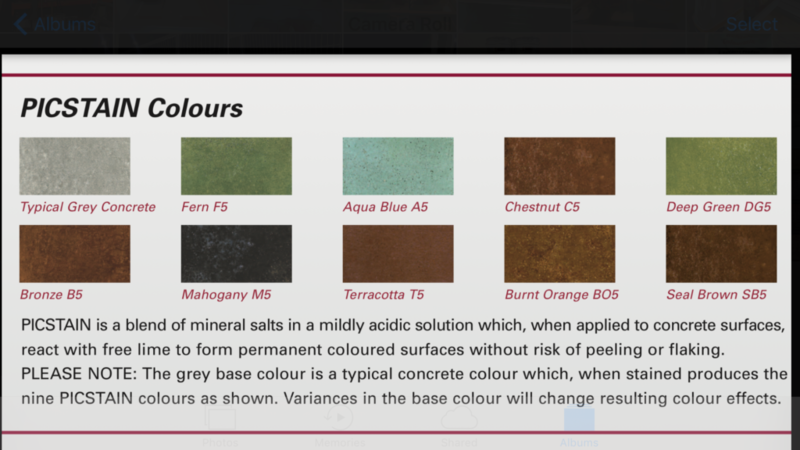 Alternatively the concrete may be coloured using an Integral Colourmix which is added to the concrete while it is in the lorry and mixed thoroughly. This is then laid as normal concrete in Ireland. 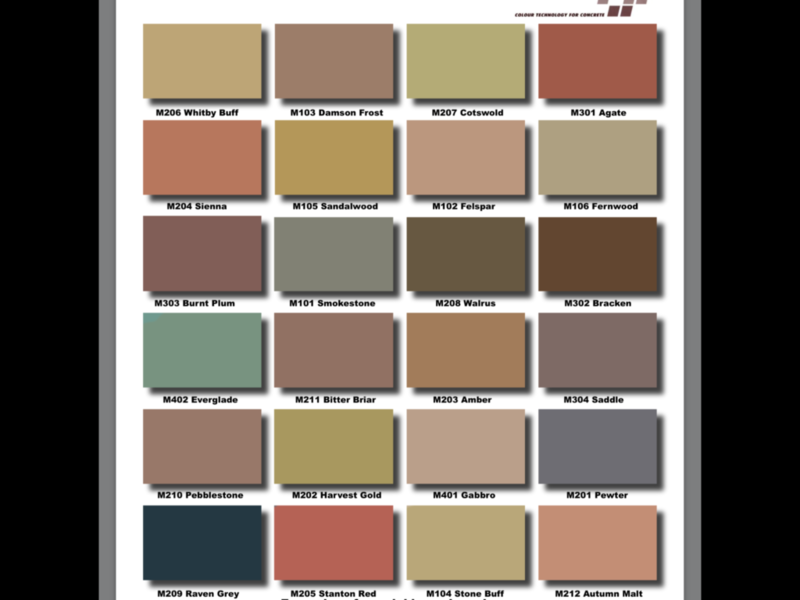 This product colours the concrete slab throughout but does not harden the surface. 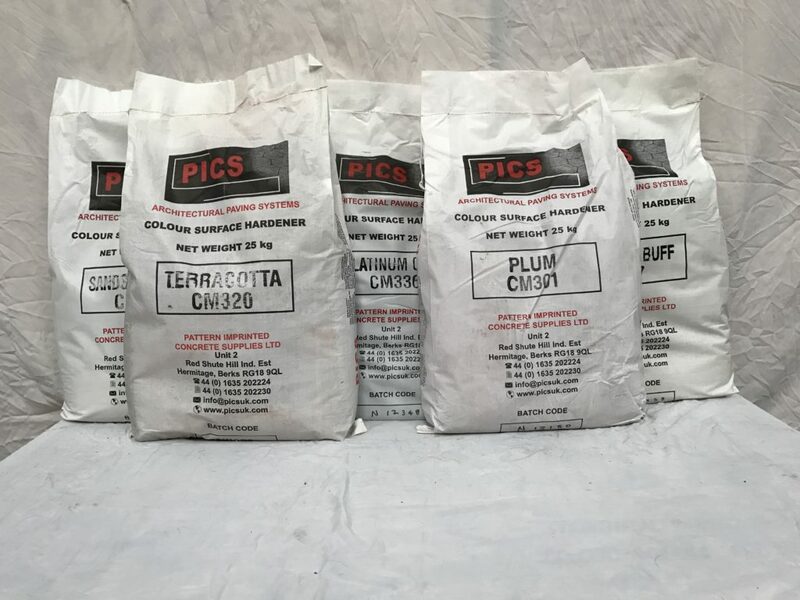 Our Integral Colourmix is available in water soluble bags – 1 per cubic metre. 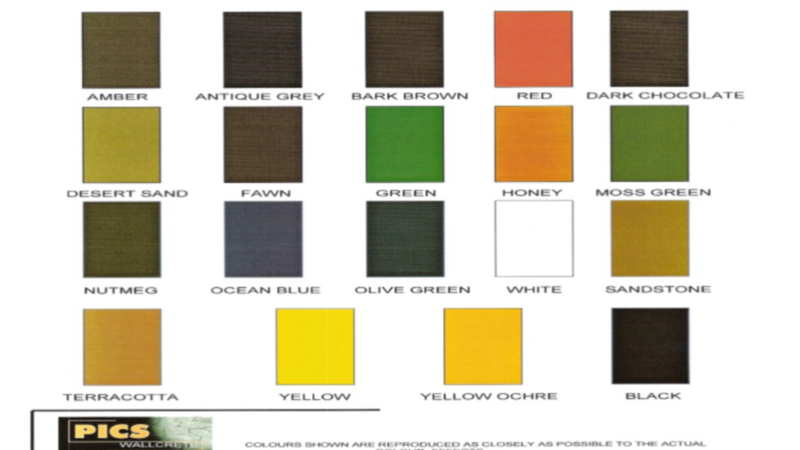 Integral Colours are manufactured to suit the cement content of the concrete mix being used. These are available in 24 different colours. 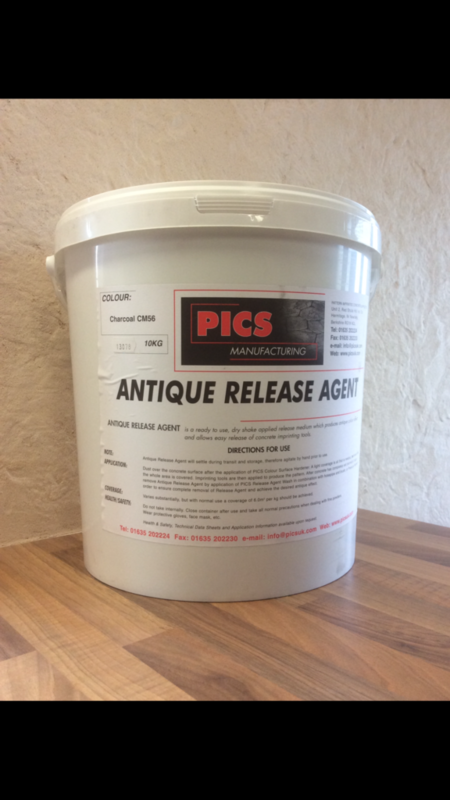 An Antique Powder Release Agent can be used on either method to give a second colour to the slab while preventing the imprinting mats from sticking to the concrete. 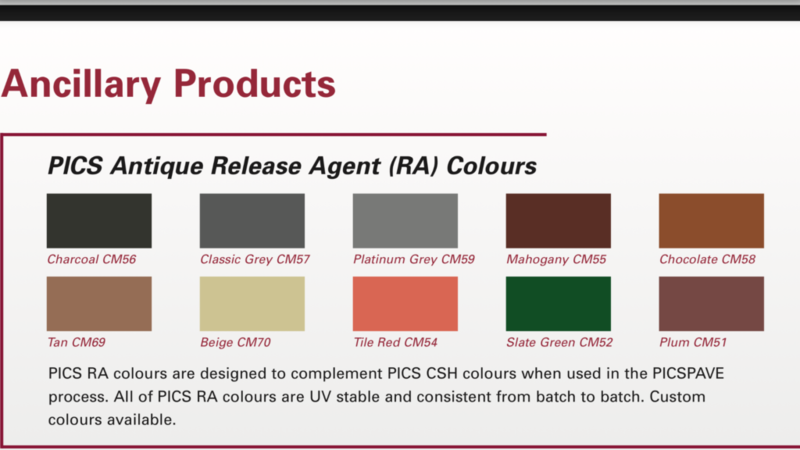 This product is available in at least 13 different colours. Stains, either water-based or acid-based can also be used to highlight certain features, borders etc. 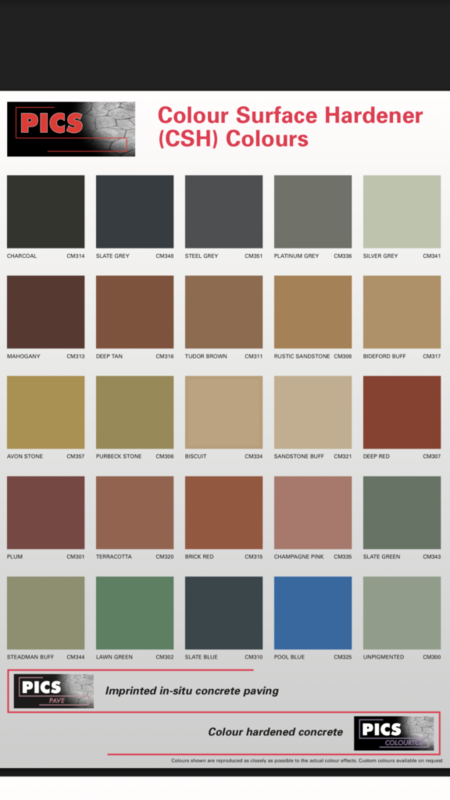 Please call and one of our team will be happy to help with choosing your colours and patterns. Alternatively you may visit one of our display areas where you will see numerous colour and pattern combinations. Please contact us for details.